Information Technology Engineering is an undergraduate degree program that is carried out for completing the bachelor qualification in IT field. IT engineering is a sub stream of Computer Engineering which is carried out in 04 years. The engineering degree in Information Technology focuses on business and communication application of computing instead of scientific aspects of computing as in Computer Science Engineering. Information Technology is designed to make the students aware of various fundamental concepts of web systems, and software engineering, information security, and computer networking. All the necessary details concerning the Job opportunities, careers and scope in IT industry are shown below. The engineering in IT stream focuses especially on technology and computers. In IT engineering we require lesser mathematical interactions and we will study about management and information science. A person who occupies a degree in Information technology will be called as IT engineer and is responsible for carrying the technical activities regarding to operating the servers, computer systems, software, network securities or computer networking. After completing the bachelor degree in IT, candidates may undergo a huge number of career options in Information Technology. The candidates can opt for the fields like Information Security Analyst, Network Architect, Computer Support Specialist, Database Administrator, System Administrator etc. The average pay scale for an information Technology engineer just after completing their graduation in Information technology is ranging from 2.4 ~ 9.5 Lakh INR annually. The increments in the salary are based on the enhancement in the skills and experience of the candidate. The technical and theoretical aspects of designing, research, development, implementation and testing a digital hardware as well as software are the centre of attention in IT engineering. 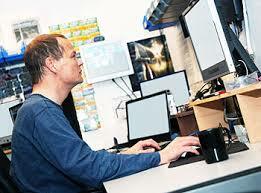 The subjects covered information technology program are mathematics, programming, and operational experiments. For knowing about more career opportunities in Information Technology Engineering, you are welcome to put your views and question either by using the feedback section or the comment box. We assure you that we will make you available with the latest scenario about your chosen stream.